Yankee Candle scented tea lights are perfect for decorating any room with a wonderful fragrance. Use one tealight for a light fragrant accent or multiple tealights for a powerful aromatic experience. Gently cleanses the spirit and leaves it with a soft whisper of innocence! 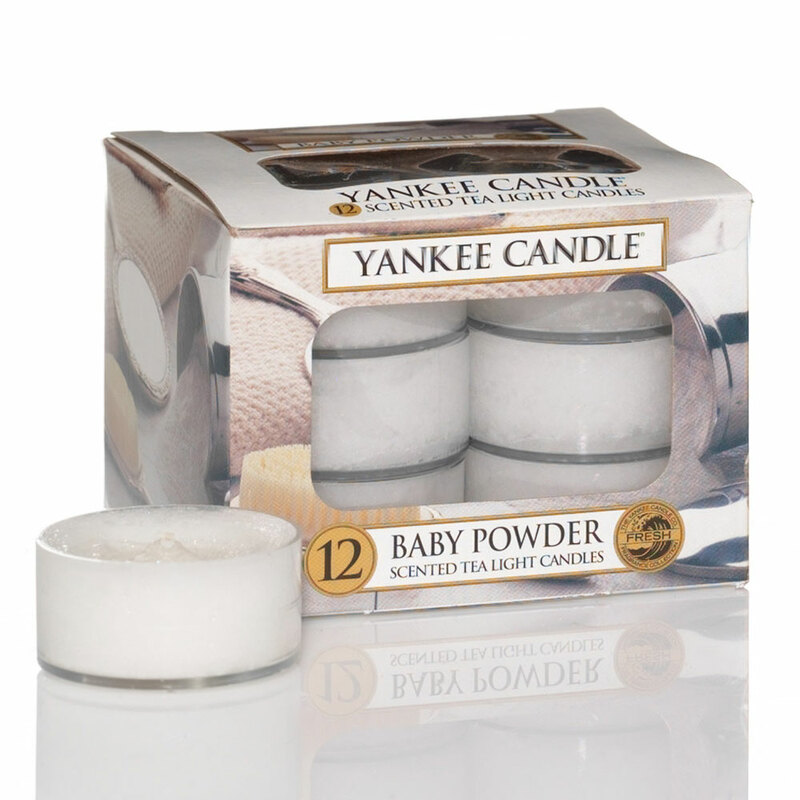 https://www.bents.co.uk/yankee-candle-baby-powder-tea-lights-cansce004tl 466 Yankee Candle Baby Powder - Tea Lights https://www.bents.co.uk/media/catalog/product/c/a/cansce004tl.jpg 6.99 6.99 GBP InStock /Homeware/Fragrance/Yankee Candle/Tea Lights /Homeware /Homeware/Fragrance /Homeware/Fragrance/Yankee Candle Yankee Candle scented tea lights are perfect for decorating any room with a wonderful fragrance. Use one tealight for a light fragrant accent or multiple tealights for a powerful aromatic experience.